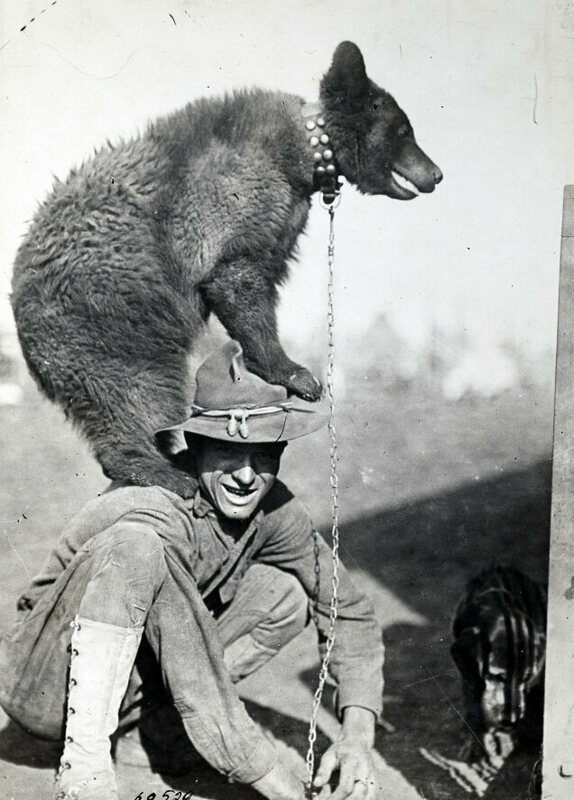 A bear mascot climbs up on the shoulders of a soldier. 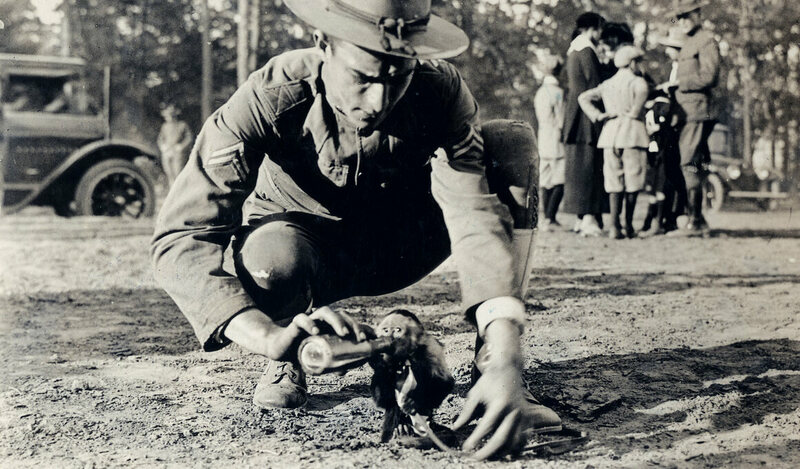 A soldier feeds a monkey of one of the Field Artillery Batteries at Camp Wadsworth in Spartansburg, South Carolina. 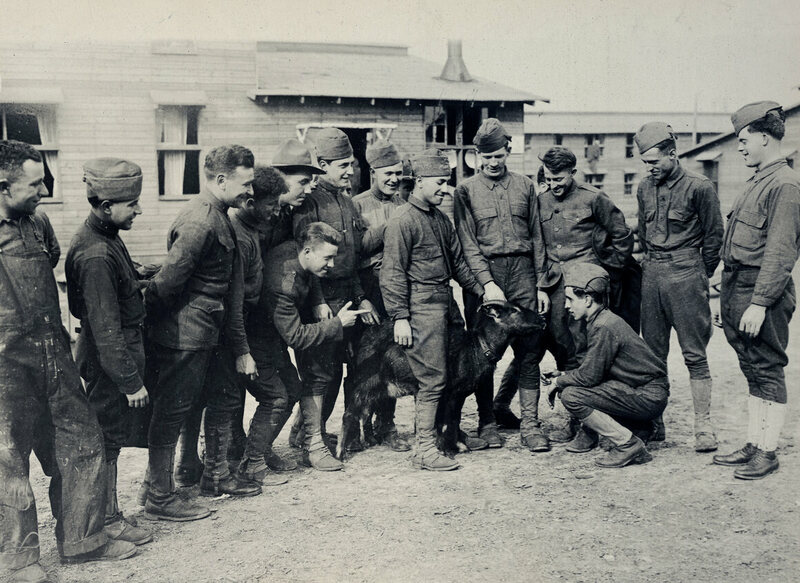 The goat of Company K, Camp Upton in Long Island. 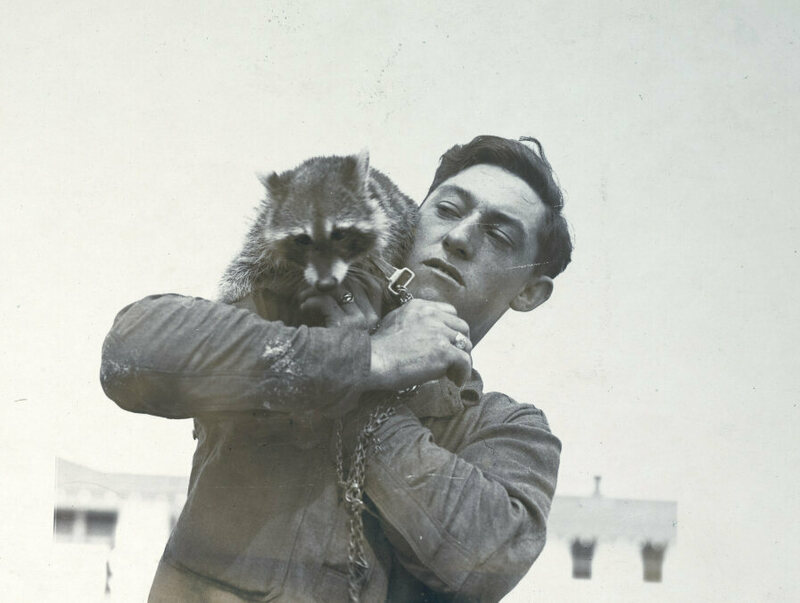 This company has had a long list of mascots, including a monkey, bear, and this goat. 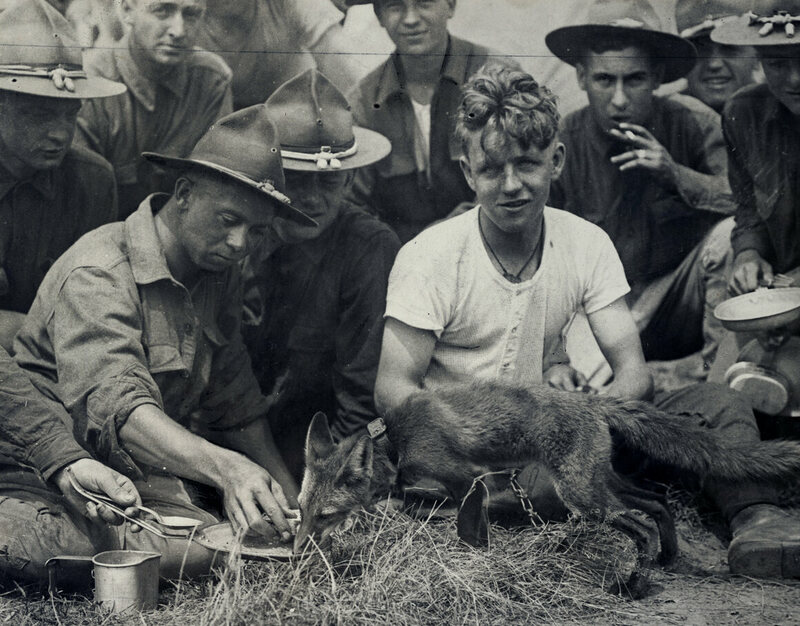 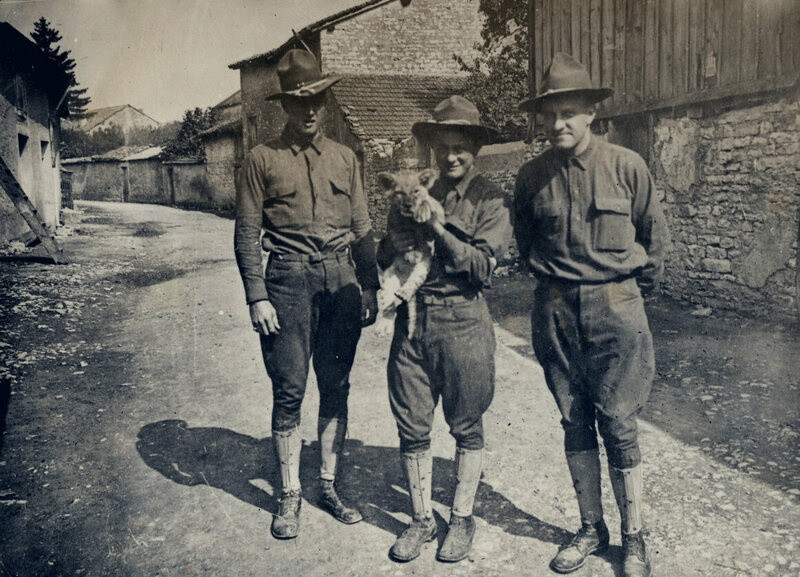 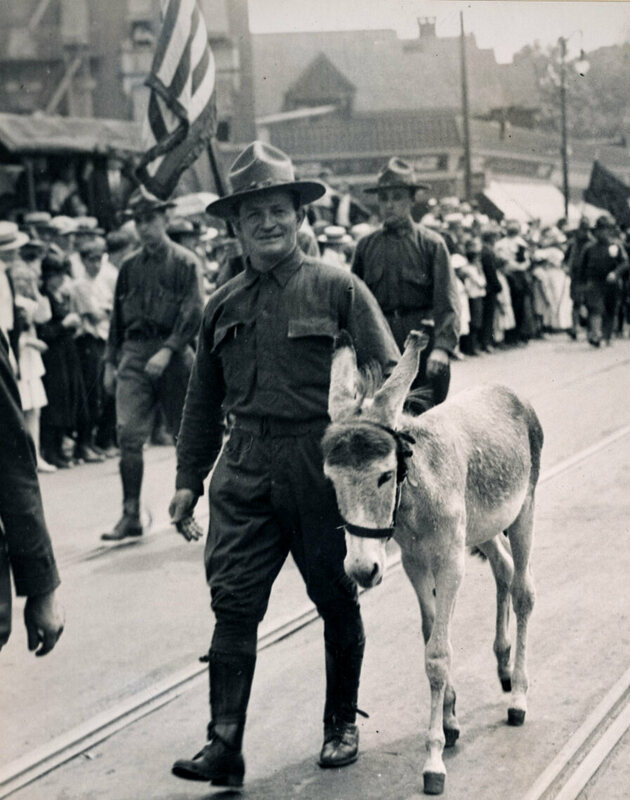 Jewel the fox with his masters at Van Cortlandt Park, New York City in 1917. 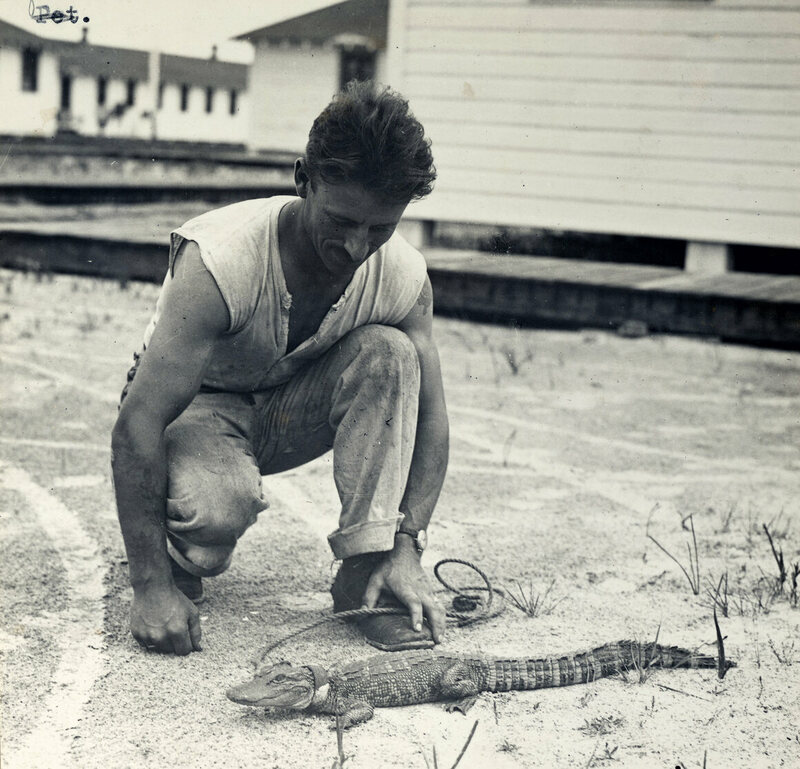 Some of the mascots were more atypical, like this baby reptile in Carlstrom Aviation Field in Arcadia, Florida. 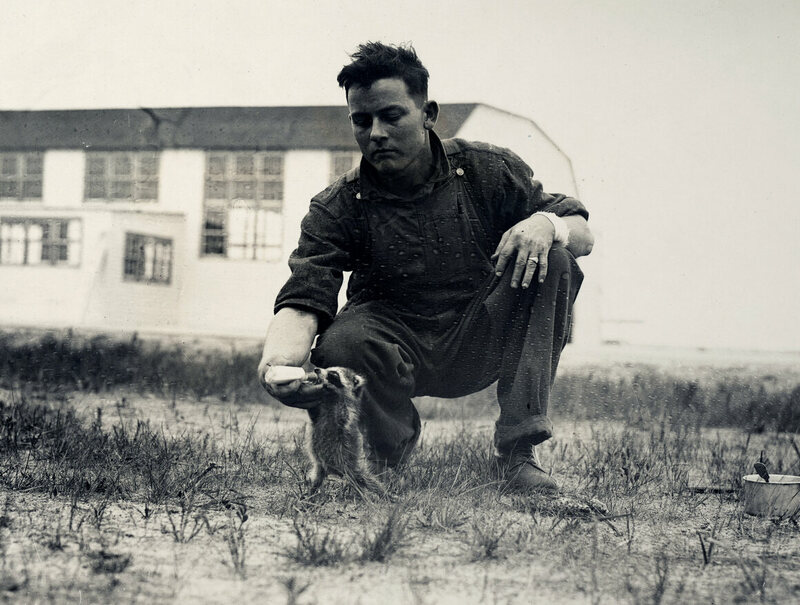 A raccoon on the shoulder of a soldier stationed at Carlstrom Aviation Field in Arcadia, Florida. 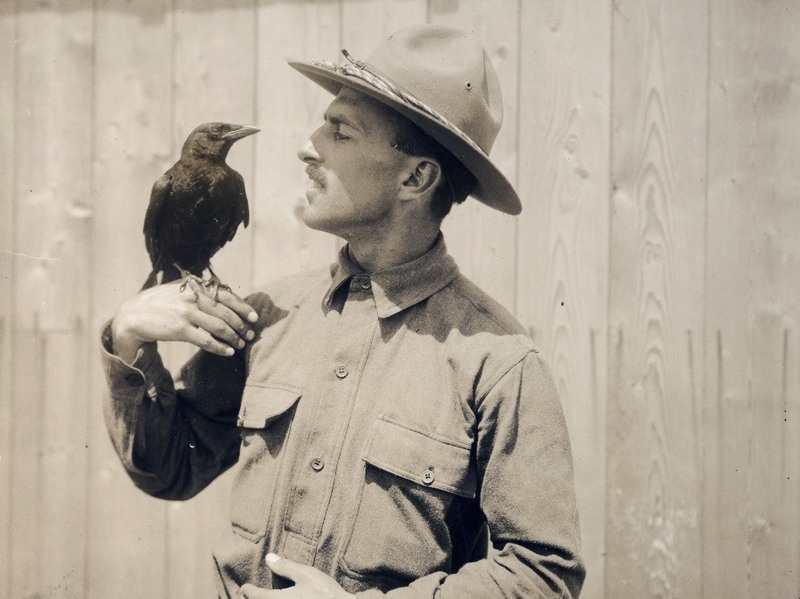 Next articleWhat are the symptoms of heat stroke and how should you treat it?